“They knew the future and potential of it all – that it wasn’t just about comic books,” Lee told reporters of the Milestone founders in the 1990s. After the passing of Dwayne McDuffie, the team decided to bring the properties back to life. “It was a call that we could not ignore. We just had to do it,” Hudlin said. “We literally can’t believe that we’re here in front of you, we can’t believe the scale of the projects that we’re going to be doing,” said co-founder Denys Cowan, who teased Jim Lee and Geoff Johns’ involvement in the project as writer and artist of upcoming projects. Jim Lee is going to draw for Hudlin, Johns is going to write something that hasn’t yet been announced. 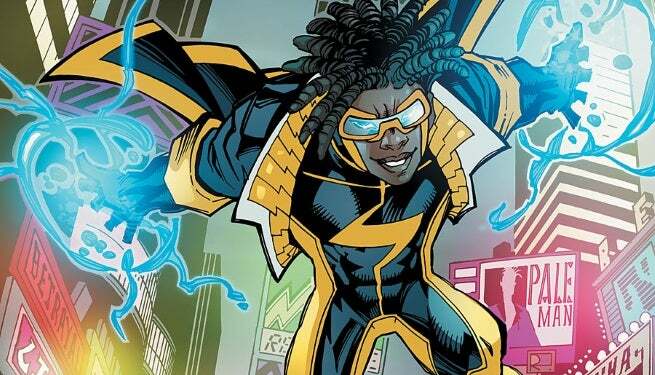 Hudlin says that there is no expected release date yet for a Static Shock series, but that he has 107 pages of script written.